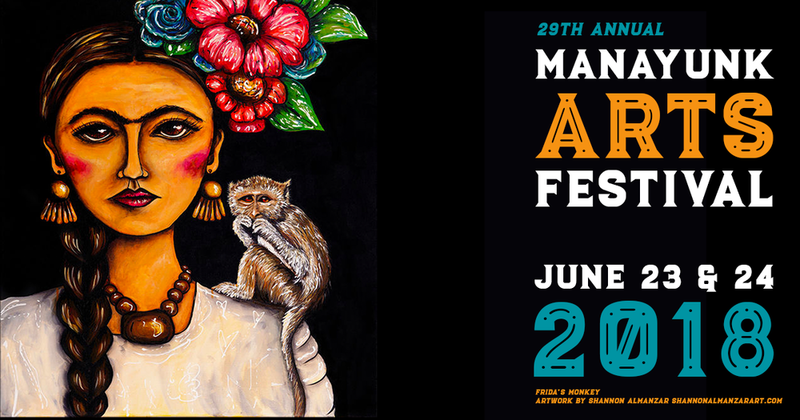 Manayunk Development Corporation is pleased to announce the 29th Annual Manayunk Arts Festival on Saturday, June 23 from 11 a.m. - 7 p.m. and Sunday, June 24 from 11 a.m. - 6 p.m. 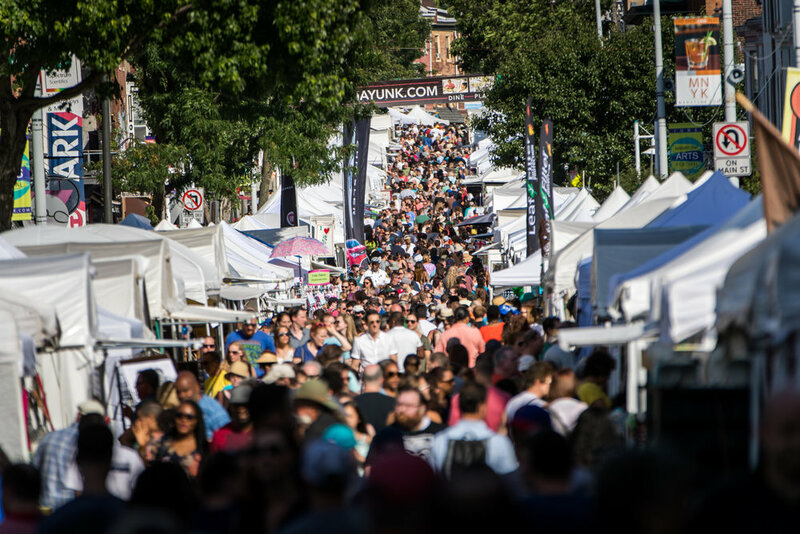 The tradition of being the tri-state area’s largest outdoor juried art festival will continue as Main Street hosts approximately 300 different local and nationally known artists and crafters. Nearly 200,000 collectors, buyers, and designers will visit Main Street for this event. 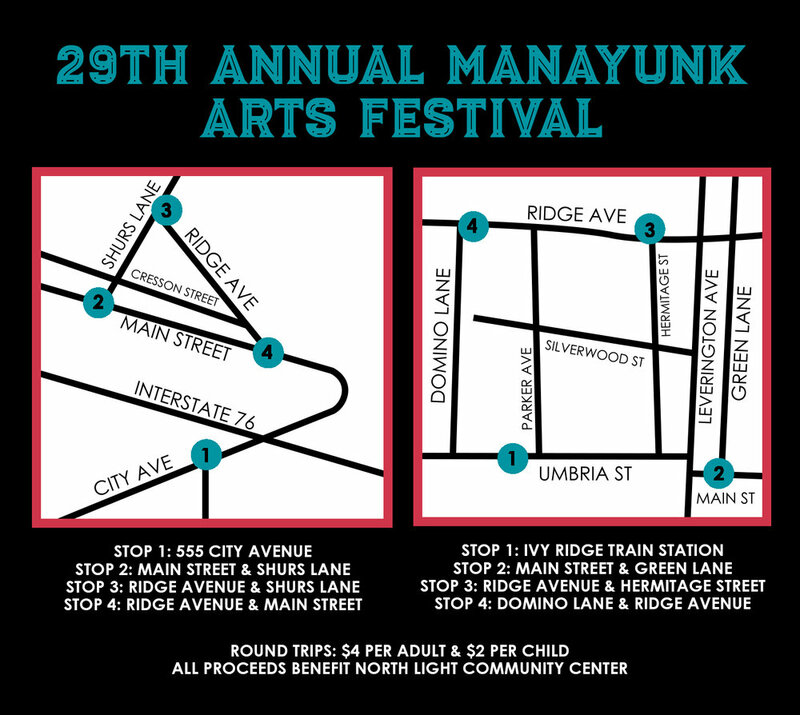 Manayunk Arts Festival, organized and operated by the Manayunk Development Corporation, is free to the public and will feature artists from seven different disciplines: fiber, glass & ceramics, jewelry, mixed media, painting & drawing, photography, and wood & sculpture. Visitors can also enjoy food and beverages from Manayunk’s renowned restaurants and cool off by shopping at Manayunk’s unique boutiques and stores. For the sixth year, local and up-and-coming talent will be featured in the Emerging Artist Tent at the intersection of Main and Grape Streets. More than 30 artists will display their work in the tent throughout the weekend. Leading up to the big event, the Manayunk Development Corporation is hosting a night of art en plein air as part of their Stroll the Street event series on Thursday, June 21. From 5-9 p.m., Main Street will be lined with artists painting and live music, and Cotton Street (between Main and Cresson Streets) will be filled with food trucks and other activities. The Manayunk Arts Festival is a rain or shine event — dress accordingly!